Tomorrow is the 26th January and is commonly known as Australia Day. It is the anniversary of the arrival of the first fleet and a day where many celebrate the official national day of Australia. For many Australians, Australia Day isn’t a day of celebration. It’s actually a day of mourning and a day that reflects all of the sadness and hurt felt by many Aboriginal and/or Torres Strait Islander people over the years. 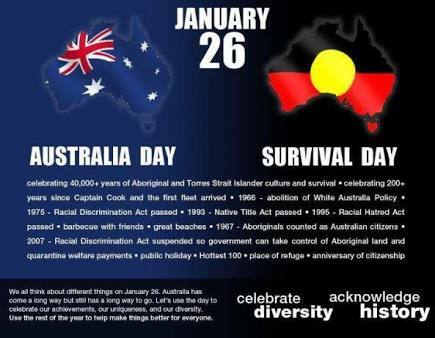 For many Australians, the 26th January is known as Invasion Day or Survival Day. I am a Caucasian Australian and certainly not the best person to write about Survival Day. I did however want to highlight an important issue and encourage people to think about what 26th January might mean to other Australians. This video asks Indigenous Australians what ‘Australia Day’ means to them. There are campaigns to change the date of Australia Day, and part of those campaigns is bringing awareness to the wider population about what Australia Day means to its Indigenous people. In discussing Survival day and the possible impact on UON Indigenous students, a staff member from Wollotuka here at UON said “If Koori kids are feeling isolated and alone then they should seek out their local Indigenous community to ask for support. It’s important that our communities feel welcome and safe on such a distressing day”. If you need to tomorrow, please reach out to someone in your community. The university support services and Wollotuka will be back on Friday 27th. febfast – What will you give up? Welcome to 2017 on the blog! I have a few friends that regularly participate in febfast and give up alcohol for the month of February. I have donated money before but never participated myself, or really known much about what it is and how it works. I thought it was purely related to alcohol, however a look at the febfast website showed that you can choose to take a break from just about anything! 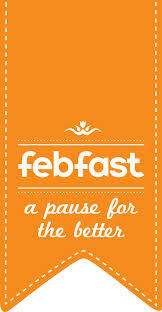 febfast started in 2007 as a way to raise money to connect disadvantaged young Australians with resources and support. Participants publicly declare that they will give up something for the whole month of February, and family and friends sponsor them to raise money for a great cause. Changing ingrained patterns and habits can be hard. Participating in something like febfast can be a great way to start making some of those changes you have been thinking about for years. Are you thinking about giving something up? Alcohol? Sugar? TV? Check out the febfast blog for some really ‘creative’ things you could give up this February, my favourites are the sky and eyebrows!! I may currently have a pregnancy craving. 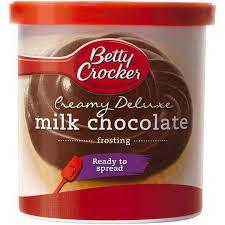 And I may currently be giving in to said craving and eating Betty Crocker chocolate icing, from a tub, with a spoon, on a daily basis. There, I said it. So, I am going to take a pause from my daily consumption of chocolatey goodness for the whole month of February. Eeek. So you can choose something you want to take a break from this February, or, you can sponsor me and help support disadvantaged young Australians. Stay tuned for updates during February!